Ranging from poetry, novels, and stories to journalism and narrative history, from memoirs and speeches to noir, science fiction, and other genres, the more than 300 definitive volumes published by Library of America present a unique portrait of the American experience—one that is continually refined as each new entry enhances our sense of the whole. Many readers ask what criteria Library of America uses when selecting a writer or work for publication. The answer to this question is complex. LOA writers—whether playwrights or presidents, novelists or war reporters, essayists or art critics—are selected for their gifts of language and narrative, their unique contribution to our literature, and their enduring reflection of a significant moment in American history. From this expansive set of criteria, the Library of America series features essential writers such as Mark Twain, Herman Melville, Willa Cather, and Richard Wright along with folklorist Zora Neale Hurston; crime novelists Dashiell Hammett, Raymond Chandler, and Patricia Highsmith; and nature writers John Muir, John James Audubon, and William Bartram. Writers of the past stand with writers of today, acknowledged masters alongside those less well known. As a champion of all of the nation’s great writers and of timeless works both expected and surprising, Library of America celebrates the living tradition of classic writing and reflects the richness and range of the American literary canon. 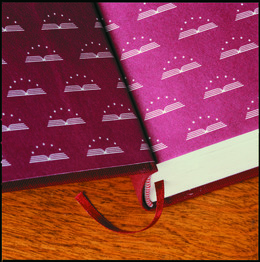 LOA volumes are printed on acid-free paper and feature Smyth-sewn bindings, handsome endpapers, and ribbon markers. 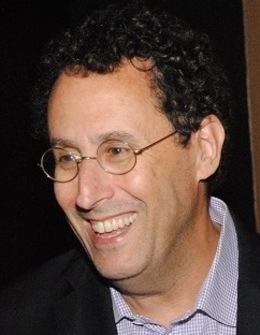 Pulitzer Prize-winning playwright Tony Kushner, the editor of LOA’s Arthur Miller edition, is just one of the scholars and luminaries who curate our volumes. Never-published early works enhance LOA’s volume of writings and drawings by the incomparable humorist James Thurber. A commitment to publish each work as the author intended it sets Library of America apart. To determine which version of a work is authoritative—that is, closest to the author’s original intention—the printing and publishing history of each work is traced in an attempt to learn when it was written, what differences there were in pre-publication versions, who prepared the copy sent to the publisher, who proofread the galleys, and other details of the publishing process. LOA editors may examine the writer's letters commenting on the publishing process, any records of changes made in subsequent printings, publishers' archives, and so on. Textual investigation of Richard Wright’s Native Son recovered many passages that had been cut or altered because of their sexual, racial, or political candor. The Library of America edition of William Faulkner’s works was prepared directly from his manuscripts and typescripts. For the first time they can be read precisely as he intended. Authoritative new editions of Zora Neale Hurston, Thomas Paine, and Robert Frost have made all previous editions of these writers' works obsolete. Educators and researchers rely on the accuracy and authority of Library of America editions, which are unabridged and unencumbered by critical analysis. Each volume includes a chronology of the author's life and work, helpful notes prepared by a distinguished scholar, and a brief essay on the text selected for each work. Historical documents are prefaced by short, informative headnotes that provide context. The format of volumes in the Library of America series is neat, handsome, and unpretentious. Although the average volume contains 1,000 pages (and several have as many as 1,500–1,600 pages), all are compact and trim, measuring less than two inches thick. The books will last for generations and withstand the wear of frequent use. The rigorous design and manufacturing standards established for the series have been recognized for excellence by the American Institute of Graphic Arts (AIGA). LOA books are printed on a premium acid-free lightweight opaque paper that exceeds the requirements for permanence set by the American National Standards Institute. The paper will not turn yellow or brittle for centuries. The page layout, designed by renowned English designer Bruce Campbell, uses Galliard, a typeface with a distinctive italic that was first issued in 1978 and is modeled on the work of Robert Granjon, a French typesetter of the sixteenth century. We chose Galliard for its elegance and because it combines high word density with high readability. LOA volumes feature Smyth-sewn binding, the most durable (and most expensive) commercial process available. In contrast to most books published today, you can bend LOA volumes all the way back without cracking the spine or endangering the threads or glue. 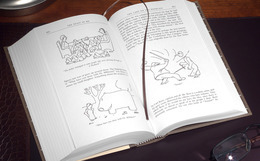 The Smyth-sewn bindings also ensure that the books open easily and lie flat without crinkling or buckling. The binding boards are flexible yet strong and make the book light, easy to carry, trim in appearance, and a pleasure to hold. The binding cloth is woven rayon, dyed in the thread for richness of color. Handsome end sheets match the binding cloth and add to the visual unity of the series. As a finishing touch, each volume includes a ribbon marker. The trim size of 4 7/8” x 7 7/8” is based on the “golden section,” a mathematical ratio first codified by Euclid and considered since the Renaissance to be a basis for aesthetically beautiful proportions in architecture and art as well as book design. These dimensions were chosen to create a book that was not only visually pleasing but also easy to hold open comfortably in one hand. All volumes in the Library of America series are manufactured exclusively by Edwards Brothers Malloy in Ann Arbor, Michigan. Some non-series titles include The 50 Funniest American Writers, String Theory: David Foster Wallace on Tennis, Edgar Rice Burroughs’s Tarzan of the Apes and Princess of Mars, American Pastimes: The Very Best of Red Smith, and Baseball: A Literary Anthology. See the complete list of LOA Special Publications. In addition, Library of America publishes affordable quality paperback editions, many of which are designed especially for classroom use. All paperbacks are printed on long-lasting, acid-free paper. See the lists of trade paperbacks and of Paperback Classics. In addition to the significance of the writing in Library of America collections, the volumes are sold for less than it costs to produce them, offering superb value to readers. The price per page of LOA volumes remains lower than that of virtually any other hardcover book, and an LOA hardcover collection frequently costs less than the group of included titles would cost in paperback editions (if these are even available).